Roman is famous for Private Parties and Corporate Events. He connects your clients with the Universal Language of Magic. Prestonwood Country Club has fine wine, and elegant magic. Sassool Café brings Mediterranean magic; with a flare. Every Tuesday of the month. definitely attribute that largely to you!!! So Thank you for everything." Cocktail Socials, Poker Nights, and Private parties. 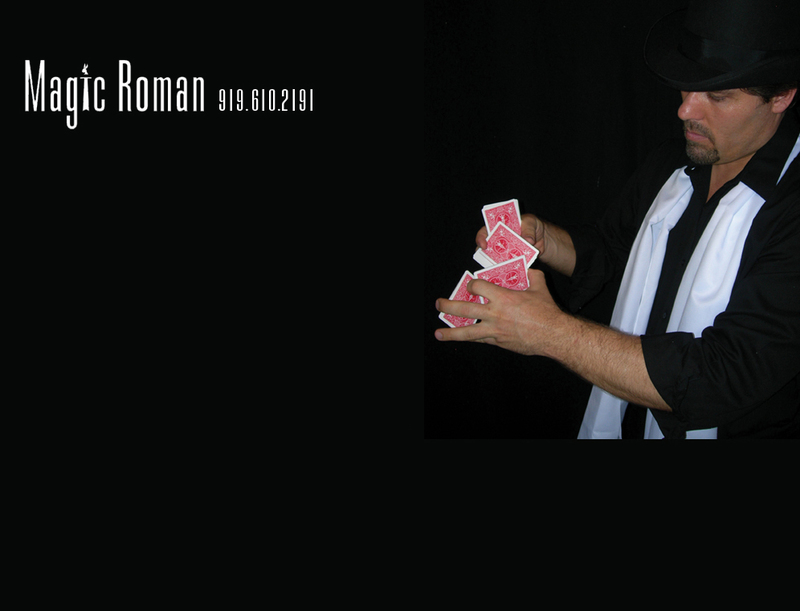 Roman performs regularly with the famous Cirque de Vol Studios, and Mesmerizing arts. See him at SPARKcon, CIRCUS SPARKS, RALEIGH WIDE OPEN, CIRCUS MAXIMUS, and RALEIGH DOWNTOWN LIVE. Charlotte, Atlanta, New York, Europe; he’s everywhere! ROMAN ALSO PERFORMS AT PRIVATE EVENTS, NOT POSTED HERE.